Following the end of World War 1 aero engines were in plentiful supply and it is here that the aero-engined monster racing cars found their inspiration thus Chitty Bang Bang, later to be known as Chitty Chitty Bang Bang from the eponymous film, was to be built by Count Louis Zborowski's engineer and co-driver Captain Clive Gallop. 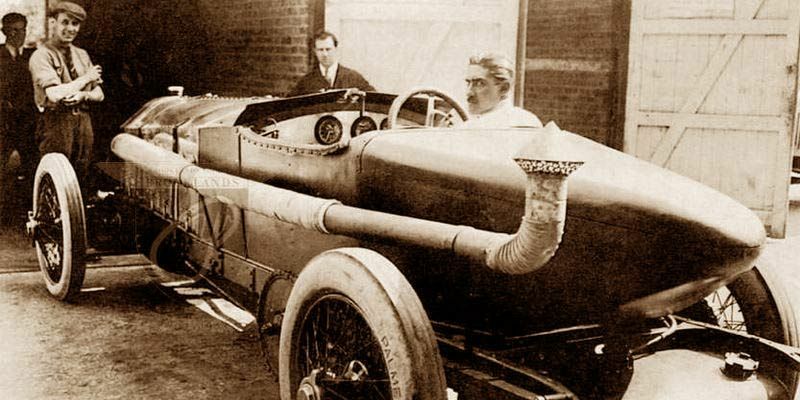 Zborowski designed and built four aero-engined cars in the stables at his mansion Higham Park in Kent, the first named Chitty Bang Bang, after the weekend passes issued to soldiers in the first world, being powered by a 23,000 cc six-cylinder Maybach aero engine. The second car bearing the same name incorporated an 18,800 cc Benz aero engine and a third car later to be known as the White Mercedes based on an appropriated Mercedes 28/95 ex German army staff car was fitted with a 14,778 cc 6-cylinder Mercedes aero engine. 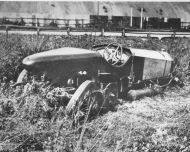 The last of Zborowski's chain-driven aero-engined specials was the Higham Special which utilised a 27 litre American Liberty aero engine. After Louis Zborowski's death this car was bought by J.G. Parry-Thomas, Leyland's Chief Engineer, with the intention of using it to make Land Speed Record attempts and named Babs. In April 1926 J.G. Parry-Thomas successfully took the Land Speed Record at over 170 mph at Pendine Sands in South Wales. 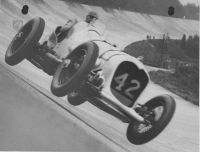 Thomas believed he could improve on his record returning to Pendine in 1927. There were varying reports on the ensuing tragedy but it is generally agreed that the right wheel collapsed killing Parry-Thomas outright. Babs was abandoned and buried in the sand as a mark of respect but eventually disinterred by Owen Wynn Owen to be restored. Babs can now be seen at the Pendine Sands museum of speed in the summer months or at the Brooklands Museum for the rest of the year where she is regulalry started up and given demonstration runs. Chitty Bang Bang created by Count Louis Zborowski. Chitty Bang Bang created by Count Louis Zborowski at Brooklands. Chitty Bang Bang created by Count Louis Zborowski at Highams in Kent.